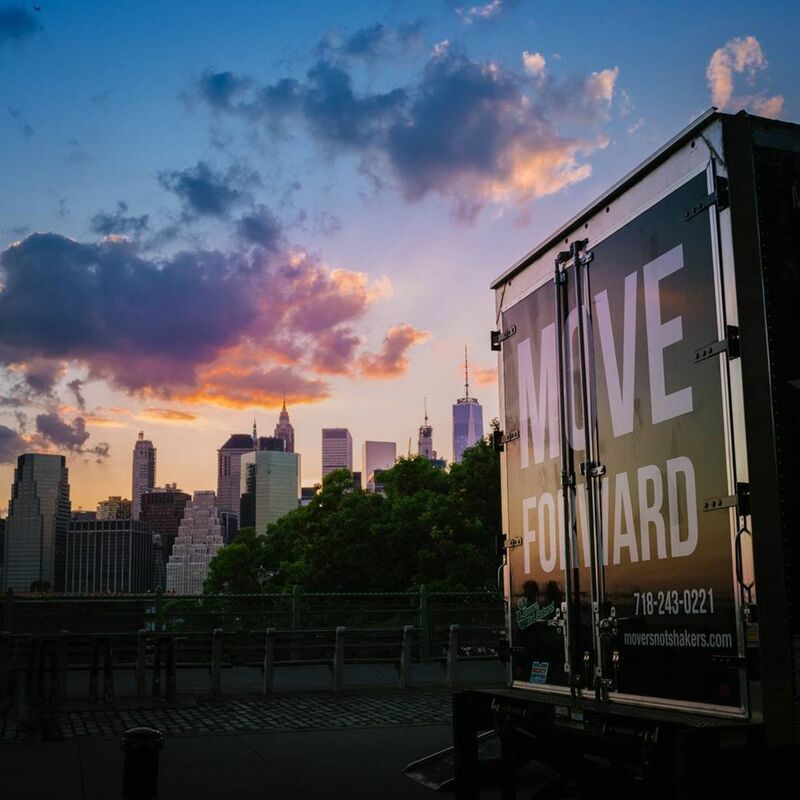 We are a Brooklyn-based moving company, serving New York City and the entire east coast. We save you time, money, and headaches by offering a flat rate pricing system. 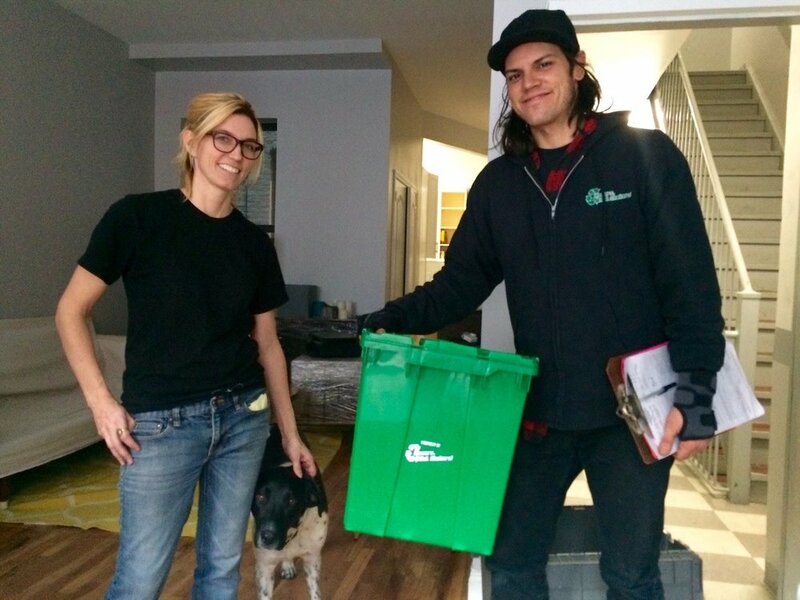 We are proud to be one of the first green movers in NYC, offering re-usable gotham boxes to replace cardboard, and using biodiesel in all of our trucks. Our caring, experienced crew is the best in the city, delivering your things safely and efficiently.We do both local and long distance moves and offer a variety of services including both packing and unpacking.We look forward to making your next move the easiest and most stress free experience you ever imagined! Established in 2002. 1. Brief history on «Movers, Not Shakers!»We started in early 2002, during the last economic downturn. At that time it was just my friend Jeff and I, two guys recently downsized from the dot com / financial world. We threw an ad up on CraigsList, and started moving people, and they enjoyed our 'story', and so referrals came easily. It just sort of grew from that.2. How is your company green?After getting stuck behind double parked trucks unloading goods for pharmacies, I began to notice that they were using plastic bins to deliver their inventory from the distribution center. 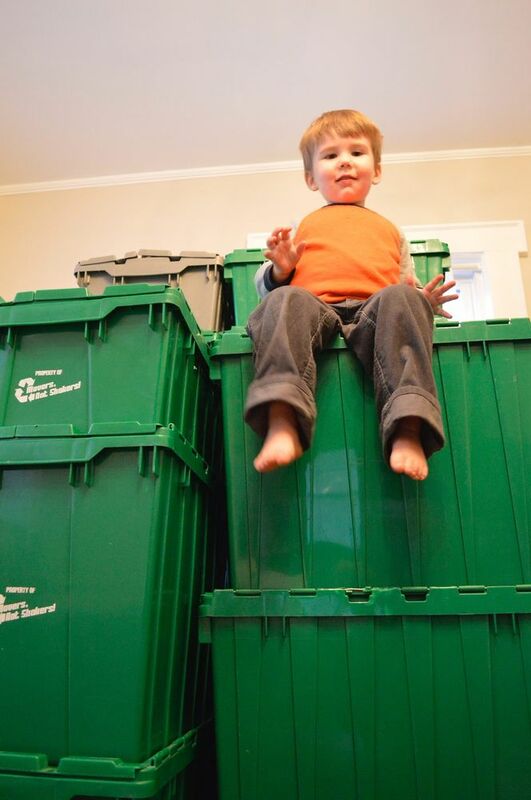 I thought that would be a great thing for us to begin doing, to cut down on the enormous amount of waste that is created by conventional moving. I also have a friend I grew up with that has been driving a truck he modified himself to run on veggie oil beginning 15 years ago, way ahead of the curve, and he would always prod me to try biodiesel. We've been running on it since 2007. Reviews of Movers, Not Shakers! What an awesome experience from start to finish. The reasonable quote and thorough planning from the sales team was great reassurance that the job will be completed in a professional manner. Moving day arrived and the two day move began with the first day loading the truck and the second day driving from Brooklyn to Boston and unloading. This clearly was no small task. The team that loaded everything made the 100+ boxes and 2 bedrooms worth of furniture and some last minute packing look like a breeze. They handled everything with the utmost of care. The smaller crew that made the drive and unloaded were part of the first day move. They reassembled all furniture and unloaded the truck so fast. To reiterate, it was a seamless and effortless process from start to finish. 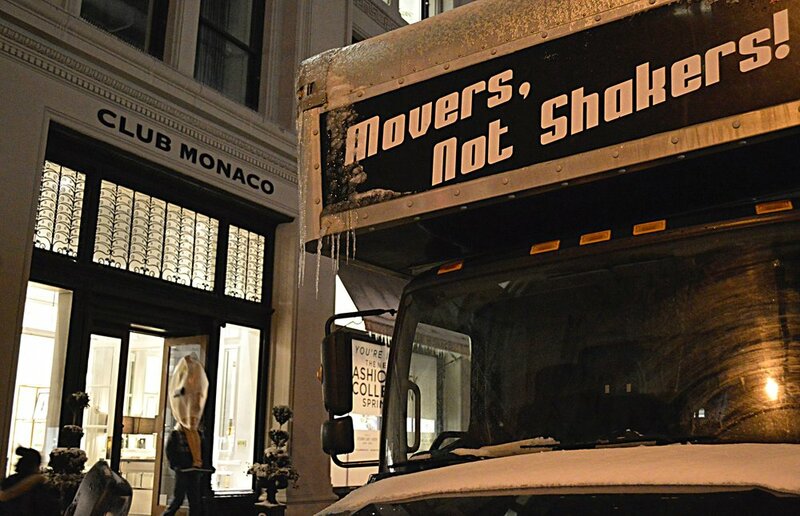 For any job large or small and any moving needs local or long distance, definitely call Movers, Not Shakers! I've used other local movers in the past, but when it came time to move this time around, those guys weren't available. In a lot of ways, I lucked out because of this! I was in the process of trying to sublet a coop from the owner, a process which is not for the faint of heart! I reached out to a number of different movers, these guys included (as a friend and her dad had both used them and had a great experience), and Greg got back to me in no time flat. I couldn't guarantee I would get this apartment (though I was pretty sure), but he let me lock in the date I wanted to move without charging my cars -most other companies won't do this. I gave a card to hold the reservation, but he was flexible to let me change the address, date of move etc. which gave me peace of mind. In the past, I rented moving crates elsewhere, but they rented me the same number for just about 1/2 the price. They dropped the crates off ten days before the move which gave me plenty of time to pack, and will pick them up when I give them a ring to do so. Greg and I inventoried my items, for a price that was more than fair. He even spelled out suggestions for tipping, which I appreciated the clarity around. They were able to issue a COI with no problem, and sent it directly to my management company. 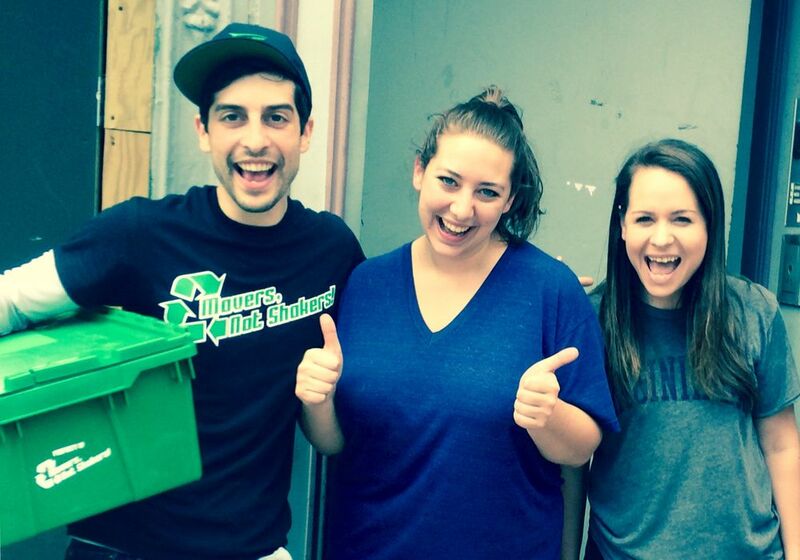 The morning of the move, the team arrived early, and got straight to work. They moved me out of my apartment in 1.5 hours, packing my furniture in blankets, plastic wrap etc. and fragile items in bubble wrap. They moved me into my new place in under an hour. They accept checks and credit cards for the move which is very convenient. While I'm not eager to move now anytime soon, I'll be sure to use them when I do. These guys are amazing, professional, fast, efficient and organized. Second time I've used them. Super pleased with the service. Even better, the employees like working for the company and say they have a very good boss!! Highly recommend. Also because they were able to put my stuff into a weird shaped storage unit. Magicians! At the suggestion of a couple friends, we tried Movers not Shakers after two rough experiences with FlatRate. Wow. Absolutely incredible experience. Jimmy, the lead, was incredibly professional. He ran a great operation - taking care to understand all our needs and expectations and delivering on them all. Great guys to a guy each with a strong customer service orientation. They got us to our new place with nothing lost, broken, or banged up. I'm just amazed and recommend them super highly. Worth every cent.